It's true! It's true! There are four new sets of patterns available! 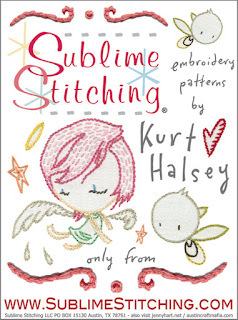 And best of all, this marks the launch of the Sublime Stitching Artist Series, with a sheet of designs by Kurt Halsey. What better way to combine art and craft?